For crocheters with arthritis, carpal tunnel syndrome, or other aches and pains, crocheting can become a strain. Laurel Hill, the guru of ergonomic crochet, has a few tips for comfy crochet. Sometimes, crocheting can literally become a pain. Crafters with painful chronic conditions really suffer when it comes to handling hooks and thread, and that can ruin a favorite hobby faster than yarn can tangle. Laurel Hill crochet hooks are a favorite among crafters for their ergonomic grips, and it’s safe to say that they are gurus in the comfy crochet world. They shared some great tips to help crafters keep crochet comfy. If you have arthritis or hand pain, using a crochet hook with a thumb rest gives your hand a rest and provides a great deal of comfort so you can crochet without pain or discomfort for longer periods. They tend to sit better in your hand, which can also help fix problems with tension. Thanks to wood’s ability to warm or cool in your hands, wooden crochet hooks are known to be better for arthritis. Cold aluminum or steel hooks can aggravate inflammation, so wood hooks are a better choice. 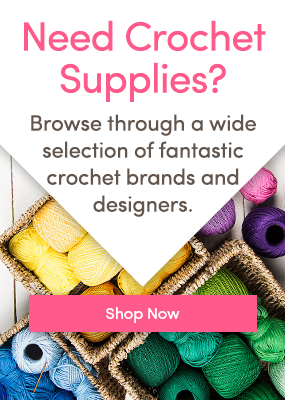 Though this is of course dependent on the fiber you are using and your personal preferences, many crocheters find that hooks with pointed ends can make for an easier, less-stress crochet experience. The sharper points can easily slide into tight stitches, which means less stress on your joints. Get your hands on some comfy crochet hooks: check out all available Laurel Hill hooks! Love crochet tips and tricks? Follow us on Bloglovin’ and never miss a post. searched the web and have found nothing. If you can follow an American pattern http://www.crochetpatterncentral.com/directory.php is a great site with loads of free patterns for just about everything.